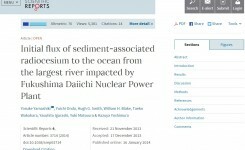 This study aimed to quantify the flux of radiocesium in the Abukuma Basin (5,172 km2), the largest river system affected by fallout from the Fukushima Daiichi Nuclear Power Plant (FDNPP) event. 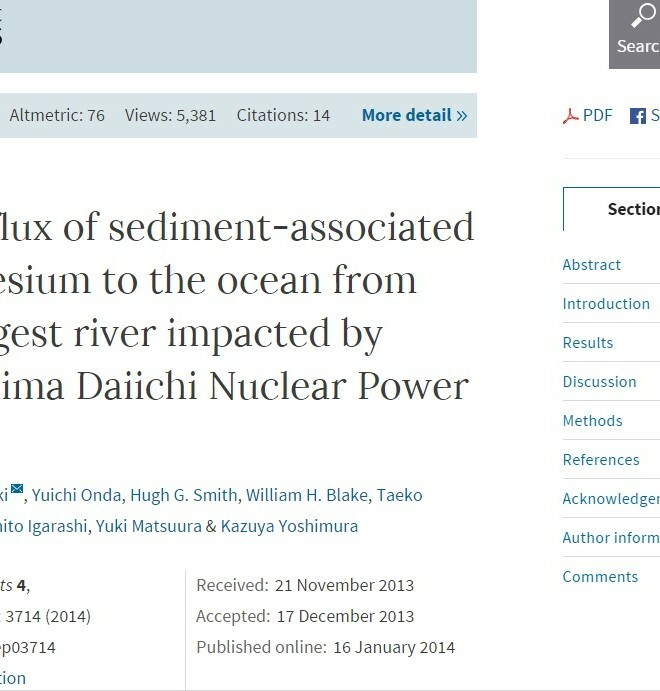 In the period from 10 August 2011 to 11 May 2012 an estimated 84 to 92% of the total radiocesium transported in the basin’s fluvial system was carried in particulate form. 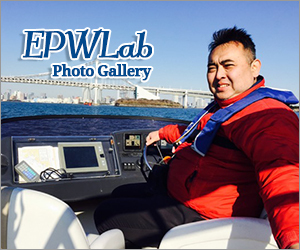 During this monitoring period Typhoon Roke (September 2011) was observed to induce a significant and temporally punctuated redistribution of radiocesium. 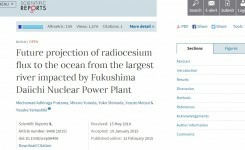 The storm-mobilised radiocesium was an estimated 6.18 Terabecquerels corresponding to 61.4% of the total load delivered to the coastal zone during the observation period. 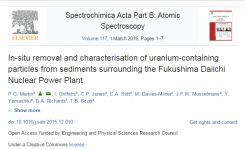 The total flux of radiocesium into the Pacific Ocean estimated at the outlet station (basin area 5,172 km2) was 5.34 TBq for 137Cs, and 4.74 TBq for 134Cs, corresponding to 1.13% of the total estimated radiocesium fallout over the basin catchment (890 TBq). This was equivalent to the estimated amount of direct leakage from FDNPP to the ocean during June 2011 to September 2012 of 17 TBq and the Level 3 Scale Leakage on 21August 2013 (24 TBq).